Beyond cultivating goodwill, offering free wifi also presents an opportunity to draw traffic to your business. Free WiFi access for clients, the business trend that began as a mainstay of coffeehouse chains and fast food franchises, has slowly made its way into nearly every category of small business. From medical offices to martial arts schools and grocery stores to spas, small business clients across all demographics have grown accustomed to free WiFi access nearly everywhere that there’s a dime to be spent. 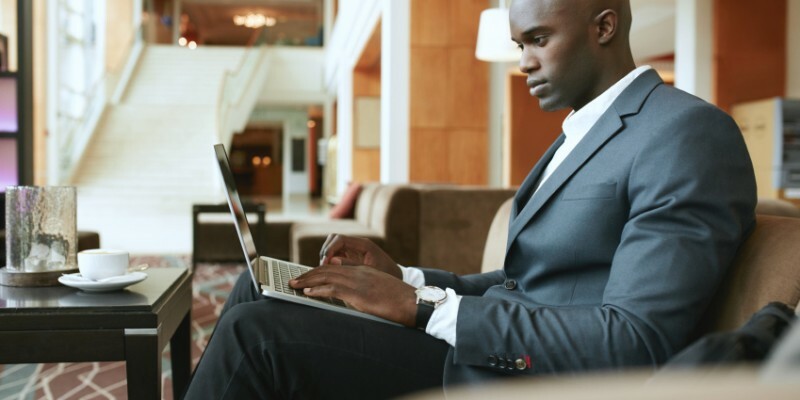 Even the wealthiest 5% of Americans surveyed admit that complimentary access to WiFi is the most “…desireable ammenity…” when choosing a hotel to stay at. The question is, why? The appeal to clients is clear. After all, the demands of any career come fast and furiously via email each day, with perceived social networking obligations not far behind. Add to that the logistical limitations of a 24-hour day and the overcrowded calendars that most people enjoy, and the appeal of catching up on personal correspondence while on line for milk or scheduling the next day’s tweets during a manicure become obvious. The benefits to a business offering WiFi access to its clients, however, are also clear. Beyond cultivating goodwill, a worthy enough cause in a competitive small business environment, here are 4 reasons that everyone who walks through the door of any business should have access to WiFi. 1. Capture Client Email Addresses: Using a system like the Keystone Marketing Launchpad allows businesses to require that clients either provide an email address or connect on social media prior to accessing WiFi. Collecting client contact information in this way makes it simple for a business to create a list of existing clients to target with its marketing without the often uncomfortable and time-consuming step of asking each client for an email address during a financial or business transaction. Better still? Clients are less likely to decline to provide the information than they would be if asked directly for it. 2. Cultivate Social Networking Engagement: When a business provides WiFi access to its clients it also gains the opportunity to encourage engagement on its social networking sites. Offering a discount after a certain number of check-ins, sending exclusive information about upcoming events to clients who “like” a Facebook page and otherwise incentivizing engagement on social networks is a proven way for a business to gain publicity, reviews and referrals and also builds an easy avenue from which to communicate to clients. 3. Compile Reliable Client Demographics: What a client does online will tell a business more about that person than the client would ever share directly. Internet usage habits, social profile information and the frequency with which clients return to a business are all useful in determining exactly who patronizes a particular business and as well as who does not. These insights are invaluable when determining how and where to spend marketing dollars, both to retain existing clients as well as to recruit new ones. A business whose clients largely visit the websites of discount clothing chains, for example, might do well to offer a coupon incentive to encourage future visits but would probably not have as much success placing banner advertisement on a blog geared toward luxury product reviews. 4. Draw Traffic to the Business: This one is a no-brainer. For most clients, the choice between visiting a business that offers WiFi access and a similar business that does not is a simple one. With a world hooked on content and communication, spending even a few minutes out of touch is a few too many for most people, and in competitive financial times no business can afford to lose prospective clients to another over such a preventable cause. To talk more about how to get started providing WiFi access to the clients of any business, contact us.